Five-Piece Sifting Pan Set | BUDK.com - Knives & Swords At The Lowest Prices! Get out there and start looking for gold today! 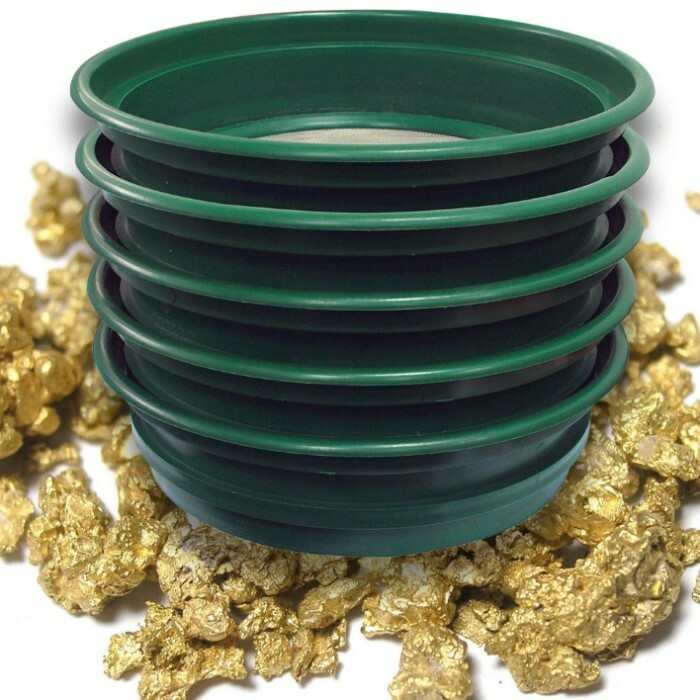 Sizes include: 1/2", 1/4", 1/8", 1/12", 1/20"
This five-piece sifting pan set is ideal for a variety of uses including panning gold, prospecting and testing deposits of heavy minerals. Each features mesh wires that are crafted of rust-resistant stainless steel and a sturdy polymer base. 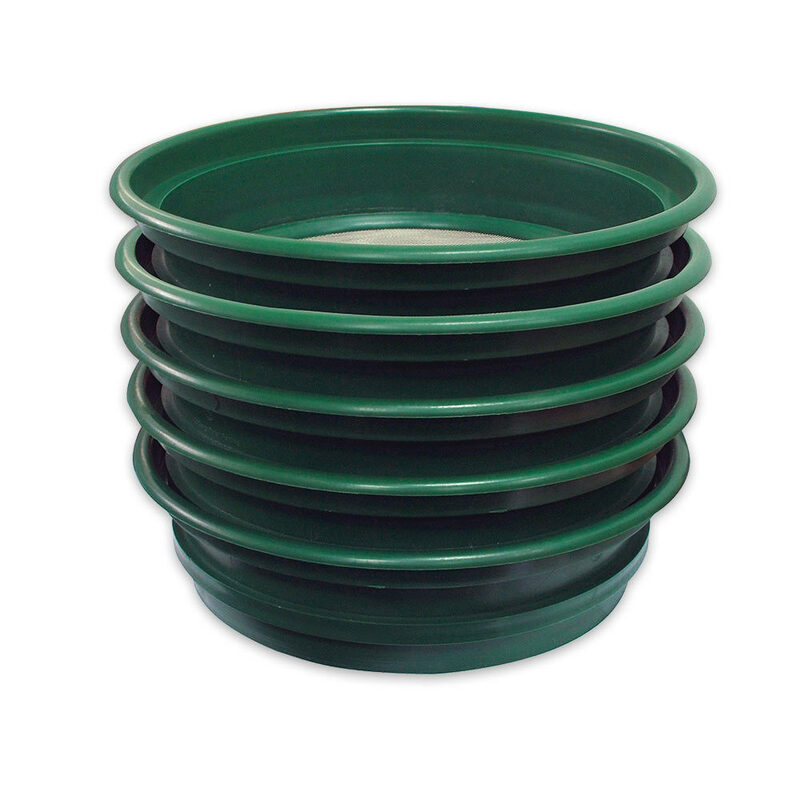 They will fit into a five-gallon bucket and can be used to sift sand, dirt or any other fine grit material. Get out there and start looking for gold today! Really a nice, well thought out set of sieves. Will be using for gold prospecting classification. Simply can't beat the price, or the quality. This set is great! I'm going to use it for classifying prospecting material before I dump it into a gold sluice. I'm planning on using just the 1/2" and 1/4" screens. They work with a 5 gallon bucket perfectly! The screens are stainless steel,well made, and should last a LOT longer than the cheap plastic classifiers that I've seen others use (and replace)!